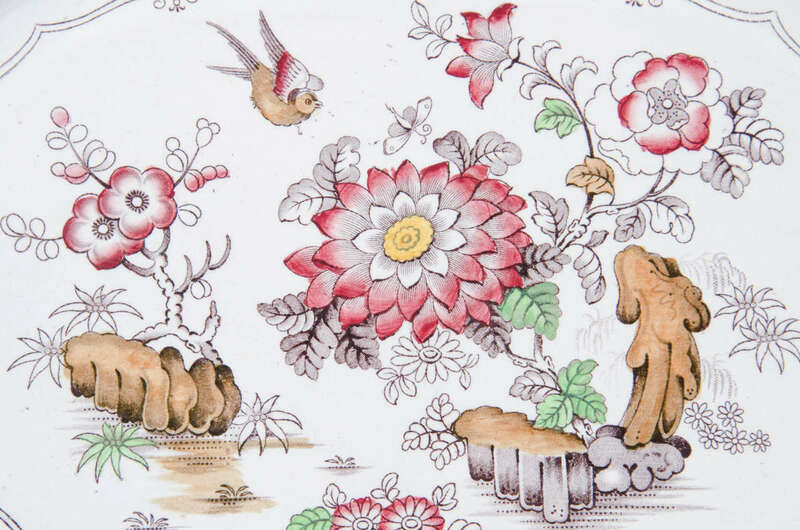 porcelain Archives - Bardith, Ltd.
Wedgwood is perhaps one of the best known names in antique English ceramics. The Wedgwood company, founded in 1759, revolutionized the pottery industry by perfecting the manufacturing, sale, and distribution of ceramics. The man behind the famous English workshop was Josiah Wedgwood. He came by the profession quite naturally, as he was born into a family of potters. However, a childhood bout of small pox left him unable to work the potter's wheel, so he turned to designing pottery instead. Josiah Wedgwood by George Stubbs, 1795. Print. Wedgwood worked with several partners before making a name for himself. One of his most notable collaborations was with Thomas Whieldon, whose unique stoneware with a tortoiseshell-like pattern can be immediately recognized as Whieldon ware by collectors. 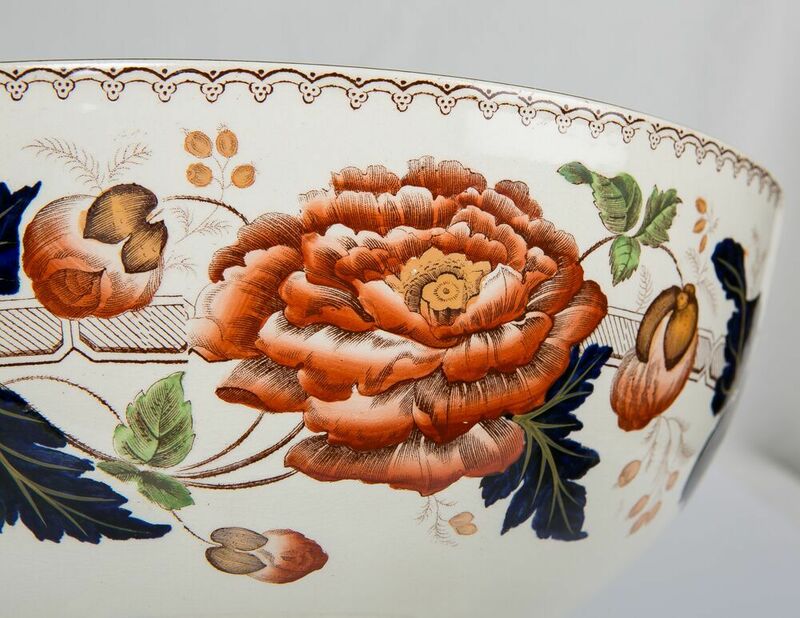 Tortoiseshell design on Whieldon ware. Detail of the sponged design on Whieldonware. Under his partnership with Whieldon, Wedgwood experimented with various glaze recipes and firing techniques to improve the ceramics. He recorded his techniques in a private book. Wedgwood took that spirit of creativity, as well as his secret ‘Experiment Book,’ with him to form his own workshop in 1759 at the age of twenty-nine. Invitation to an exhibition of Old Wedgwood Ware. Print. Victoria & Albert Museum, 15672:1. Wedgwood & Byerley, York Street. St. James’s Square. For No. 2 of R. Ackermann’s Repository of Arts, 1809. Aquatint, 5½ x 9¼”. British Library. Wedgwood is known for his innovations in pottery. Below are wares that he is credited with inventing and/or perfecting. Wedgwood used the tern Rosso Antico, literally “antique red,” to describe his redware. A cream/white-colored glazed earthenware, creamware is also called Queensware after Queen Charlotte commissioned Wedgwood to create a set. Black basalt wares were made from clay that had coal in it, but the richer black that we see in finished products comes from the addition of manganese. High-fired stoneware with an unglazed, matte finish, jasperware is perhaps one of Wedgwood’s most recognizable wares. It came in a variety of colors, notably light blue or “Wedgwood Blue,” but other colors such as dark blue, lilac, sage green, black, and yellow were produced. Often, white sculptural decorations covered the surface in relief. This type of unglazed stoneware is buff, or yellowish-cream, in color. Many of Wedgwood’s caneware featured bamboo motifs. An olive-grey stoneware with clear glaze. He had many royal patrons, including Queen Charlotte of England and Russian empress Catherine II. He was the grandfather of Charles Darwin. Dawson, Aileen. Masterpieces of Wedgwood. London: British Museum Press, 1984. Josiah Wedgwood (1730 – 1795), BBC. Mankowitz, Wolf. Wedgwood. Leicester: Magna Books, 1992. The Genius of Wedgwood. Hilary Young, ed. London: Victoria & Albert Museum, 1995. Here at Bardith, Ltd. we specialize in antique ceramics. If you browse our inventory, you'll find terms like soft-paste porcelain, earthenware, and terracotta. What does it all mean? Ceramic nomenclature can present a challenge to new collectors and old alike, so we've put together a guide of ceramics dictionary terms for your convenience. Now, you'll never have to wonder about the difference between stoneware and earthenware! All of our vessels are ceramics/pottery. The terms are synonymous and refer to objects made of fired clay, though the nature of each's purpose varies slightly. Ceramics/pottery can be divided into three groups: stoneware, earthenware, and porcelain. Each has their own variations, described below. As you can see, there is a plethora of types of ceramics. We hope this guide of ceramics dictionary terms will be helpful for you when browsing our inventory. Feel free to contact us with any questions or requests for information. Bertolissi, Nicoletta. "What is the difference between porcelain and ceramic? All you need to know about 9 confusing ceramic terms," Nicoletta Bertolissi. 3 December 2014. "Types of Porcelain: Hard Paste, Soft Paste, and Bone China," Marks 4 Antiques.